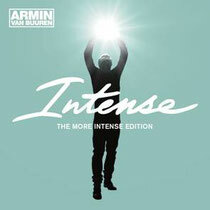 Armin van Buuren was recently nominated for a prestigious JUNO Award, for his recording of ‘This Is What It Feels Like’, featuring Canadian singer/songwriter Trevor Guthrie. The song reached #6 in the Canadian Hot 100 Charts, and was certified 2 x Platinum in Canada, selling over 190,000 copies. The song was also nominated for ‘Best Dance Recording’ at the 56th Grammy Awards, and has achieved Platinum certifications in The Netherlands and Australia, reaching Gold and Silver status in Italy and the United Kingdom, respectively. The video currently has over 34 million plays on YouTube. The 2014 JUNO Awards Broadcast will take place on Sunday, March 30th, 2014 at the MTS Centre in Winnipeg. Armin is currently in the middle of his World Tours for both ‘Intense’ and ‘A State of Trance 650: New Horizons’.